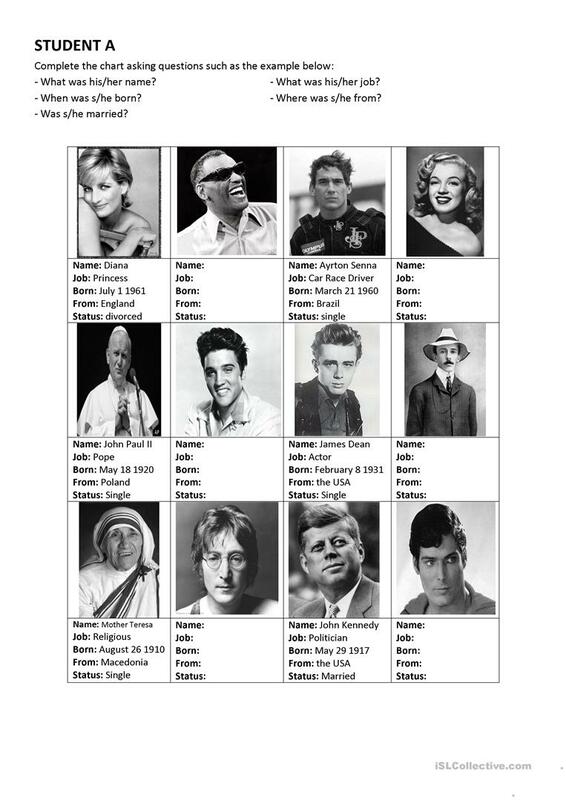 Complete the chart asking your partner questions about famous people from the past. 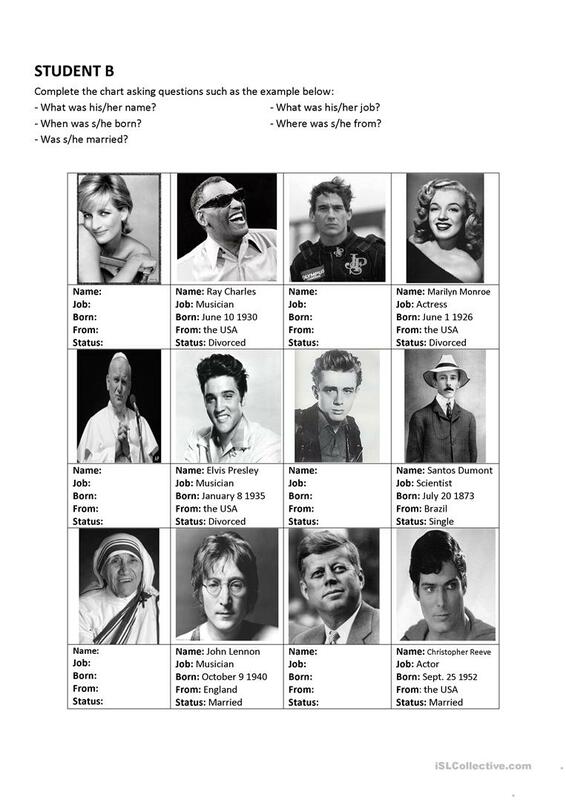 This downloadable worksheet is a great resource for high school students, elementary school students and adults at Beginner (pre-A1), Elementary (A1), Pre-intermediate (A2), Intermediate (B1), Upper-intermediate (B2), Advanced (C1) and Proficient (C2) level. It is valuable for revising Past simple tense in English, and is a valuable material for strengthening your pupils' Listening, Speaking, Reading and Writing skills.